The art was WOW! The exquisite coloring and highly detailed illustrations were incredibly appealing. And because graphic novels aren't all about the art, I will let you know that the storyline did not disappoint. 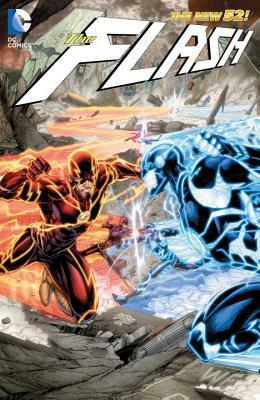 There is something seriously up with the speed force and Barry is losing minutes [OMG that is a ton of time] but things get even way crazier when a Flash from the future shows up in a by the way super awesome looking electro blue suit bent on changing the past by any means necessary. You won't be disappointed in this one, the only thing that will have you screaming HOW DARE THEY is the cliffhanger at the end; I had to actually go and buy individual issues because I could not wait for the next volume.